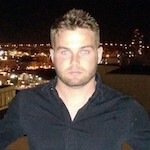 Ryan Welton is a member of the Research and Development team at NowSecure. He has been working in the Android mobile security space since 2011. He enjoys finding and exploiting vulnerabilities at all different levels of the stack.